Larry Russell was an outstanding basketball and football player for three years at AHS. Russell has the distinction of having played for Alliance High School teams that recorded an amazing combined mark of 79 victories, 2 ties and just 15 defeats. His football teams were 28-3-2 with records of 8-1-1 in 1930, 9-2-0 in 1931 and 11-0-1 in 1932. 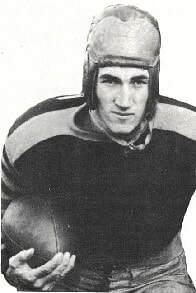 In football, Russell gained All-County and All-Northeastern Ohio Big Ten grid honors in 1931 and the following year was an All-Ohio pick. Perhaps his accomplishments were even more spectacular in basketball where the team high-scorer became the only Alliance athlete to make All-County and All-Northeastern Ohio Big Ten for all three years. Russell’s basketball teams had a combined win-loss record of 51-12, based on records of 16-5 in 1930-31, 21-1 in 1931-32 and 14-6 in 1932-33. The 1931-1932 cage team’s only loss was to Akron East 34-29 in the fourth game of the state tournament. The tie that marred an otherwise perfect 1932 football campaign was 6-6 with Toledo Libbey in the last game. 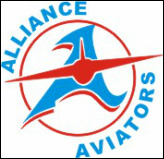 Alliance outscored opponents 311-28 for the year. Still residing in Alliance, Russell is employed at the Alliance Manufacturing Company.